Copper is most common metal just after gold and is early found by ancient people. 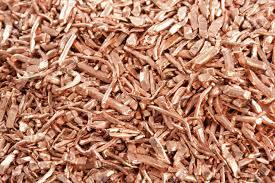 As the first metal to be used for production, copper has an abundant reserve as a natural resource. Copper is one of the best pure metals featured by strong hardness and toughness, wear-resistance, ductility and malleability. Copper is nonferrous metal which has a close relationship to human and wide applied to electric industry, light industry, machinery manufacturing, building industry, defence industry and etc. 1. In electric and electronics industry, copper is the most widely applied and consumed metal, mainly for the winding of cable, wire, motor and transformer. 2. In machinery manufacturing, copper is most used for industrial valve, mold, heating exchangers, etc. 3. In defence industry, copper is essential metal for making bullets and gun parts. 4. In building industry, copper is used to make pipeline, spare parts of pipeline and some decoration parts. For thousands of years, copper and copper alloys have been recycled. This has been a normal economic practice. One of the wonders of the old world, the Colossus of Rhodes, a statue spanning the entrance to Rhodes Harbour, was said to have been made of copper. No trace of it remains since it was recycled to make useful artifact. In the Middle Ages it was common that after a war the bronze cannons were melted down to make more useful items. But in times of war even church bells were used to produce cannon. We DOING Company as a leading manufacturer in China has specialized in all kinds of waste recycling machinery for about 10 years, 5 years experience for domestic market, and 5 years for foreign trading. 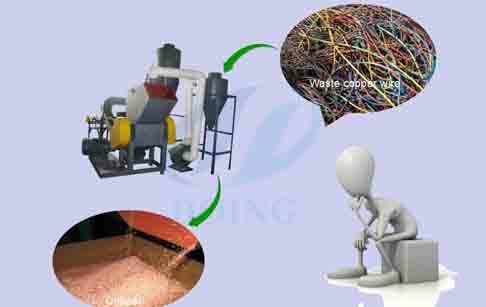 We have developed and designed many kinds of waste processing machines, such as waste tire recycling machine, waste plastic recycling machine, waste oil recycling machine, waste copper wire recycling machine, waste aluminum-plastic panel recycling machine, waste PCB recycling machine, waste home appliances recycling machine, etc. Through our constantly improved technology and services, we DOING Company has been accepted widely. If you wanna to get more details about How Much Do You Know About Copper? you can send E-mail to market@doinggroup.com. You can consult our professional engineer and specialized sales team with leave a message in below form.We will contact with you ASAP.You also can visit our factory in Henan,China.Get Detailed address.